On Patriots Day one of the most fun things you can do is go to the reenactments in Lexington(around 5:30 am,as it was) and Concord(around 9:30 am). Get there early-a lot of people go yearly!Here is more information from the Massachusetts Society. Patriots’ Day is a public holiday celebrated on the third Monday in April, to commemorate the battles fought at Lexington and Concord on April 19, 1775, which marked the start of the American Revolution. Patriots’ Day was enacted as a legal holiday in 1894 and is observed in both Massachusetts and Maine, which was formerly a part of Massachusetts. Prior to 1969, Patriots’ Day was observed every year on April 19. Various observances are held the weekend of Patriots’ Day. 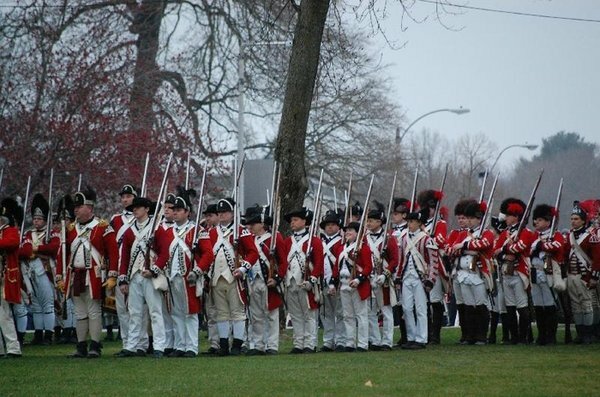 Parades and historical reenactments are very popular, particularly in Lexington and Concord, Mass. 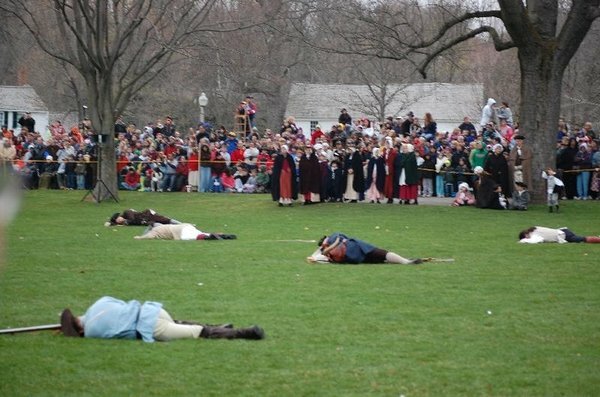 Reenactments include Paul Revere’s ride, historic trail marches, and two battles, which are held at Lexington Green in Lexington and Minute Man National Historic Park in Concord on Patriots’ Day morning. This entry was posted in books, history, interesting ideas, Massachusetts, travel and tagged Concord, Holidays, travel. Bookmark the permalink.